Richard Libert Painting Inc. offers Pressure Washing in Redington Shores, Florida. When it comes to affordable professional pressure washing in Redington Shores FL, no one beats Richard Libert Painting Inc.'s experienced technicians. 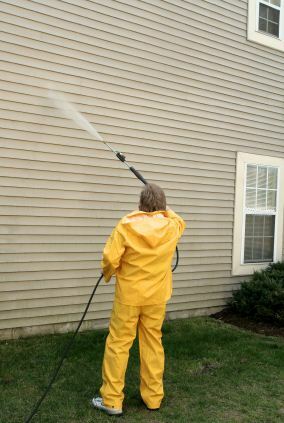 Pressure washing your Redington Shores home is a great way to increase curb appeal and stop silent invaders such as mold, mildew, moss, and bugs. Redington Shores homes and buildings can get quite dirty over time, especially if near a busy road. Pressure washing your Redington Shores structure is the fastest easiest most cost effective way to restore its natural beauty and make it inviting. Why come home to a muted exterior or dirty deck? Richard Libert Painting Inc. would be happy to provide a one-time cleaning or schedule periodic cleanings. When it comes to quality affordable pressure washing in Redington Shores, FL, Richard Libert Painting Inc. is the pressure washer that Redington Shores residents trust.